I’m becoming somewhat of a cocktail fiend, and up until last week, I had never made simple syrup. What was I waiting for?! Not only is it pretty damned easy to make, you can also infuse it with nearly anything your heart desires: berries, herbs, spices, tears—you name it. After a slight mishap with some blackberry-basil simple syrup (I used too much basil and it smelled like Fruity Pebbles pesto), I decided to go with a simpler infusion: mint. I used raw cane sugar, so the color of this simple syrup isn’t the most appealing, but I swear it’s delicious. Chop up roughly 1 cup of mint leaves and transfer them to a heat-resistant container. Bring 1 cup of cold water and 1 cup of sugar to a boil, whisking occasionally to dissolve the sugar. Remove pot from heat when the sugar is completely dissolved. Pour the sugar over the chopped mint, and cover with foil or plastic wrap. The steam helps to infuse the mint flavor and fragrance into the syrup. When it’s cooled, pour the mixture over a strainer (I used cheesecloth), making sure to press or squeeze the mint to extract every ounce of flavor. Store in an airtight container in your fridge, where it’ll last for up to three weeks. And now for the best part: mixing up your drinks. 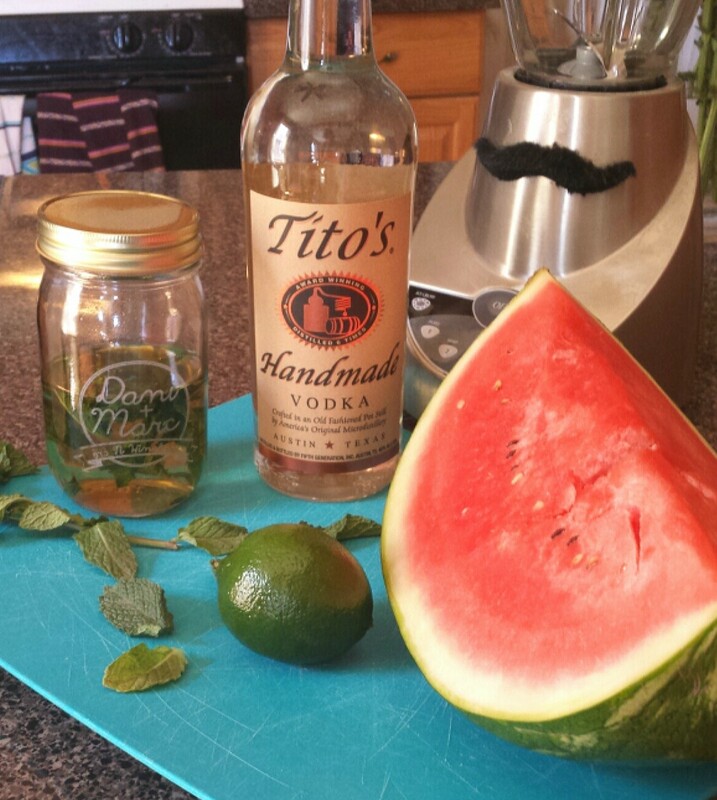 Try these three mint-infused spring and summer favorites to get your creative cocktail juices flowing. 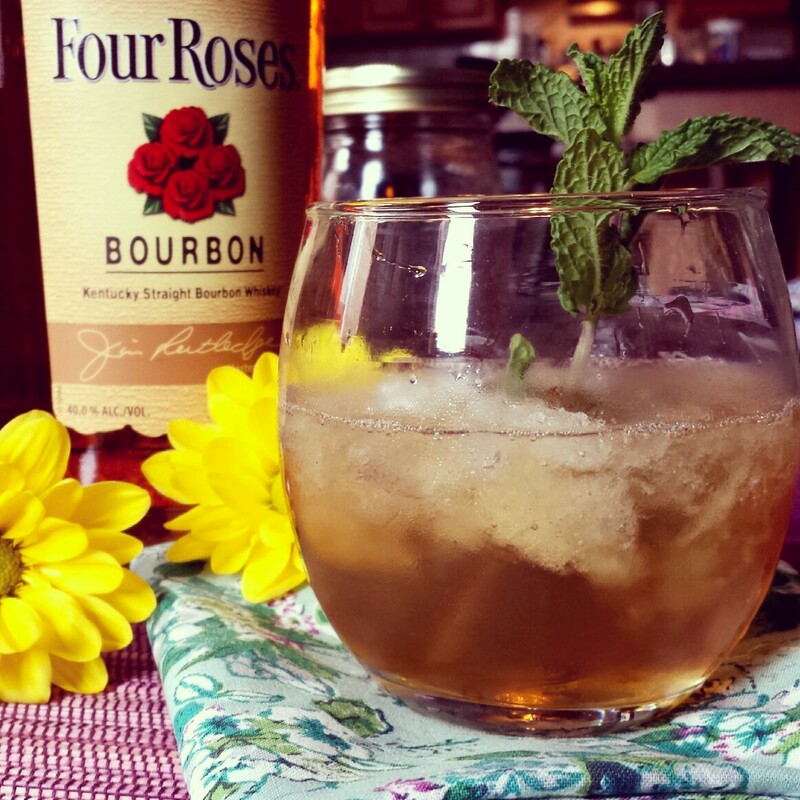 Pour the simple syrup and bourbon in a glass, then top with a hefty amount of crushed ice. Add a sprig of mint for garnish. Oh, and if you have a silver mint julep cup, obviously use that. 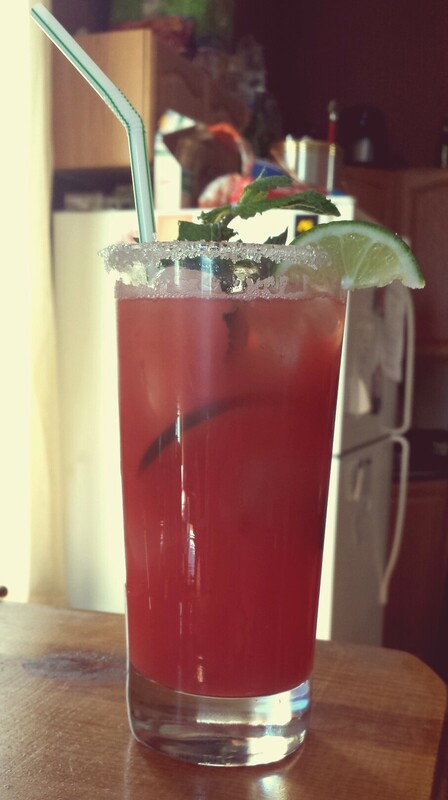 This one’s a little time-sensitive, what with Derby Day being this Saturday, but this potent drink is great all summer long thanks to the refreshing mint and generous amount of crushed ice. Lots of recipes call for you to muddle mint leaves with sugar, but this one is actually the official recipe of the Derby. (Minus the Early Times). It’s best consumed when wearing a giant floppy hat and screaming obscenities at the TV for 2.5 minutes straight. In a tall glass, combine the simple syrup, rum, and fresh lime juice. Fill the glass with ice (preferably crushed) and top with club soda. You can garnish this however you’d like; I usually use a slice of lime and some extra mint leaves for an added burst of freshness with each sip. In a blender, puree the watermelon and water. You can leave it as it is for a pulpier drink, or you can strain it through cheesecloth for a thinner, more juice-like consistency. In a glass pitcher/large container, combine the puree with the lime juice and simple syrup, tasting as you go to determine your preferred level of sweetness. Then add the vodka (this part is also to taste). 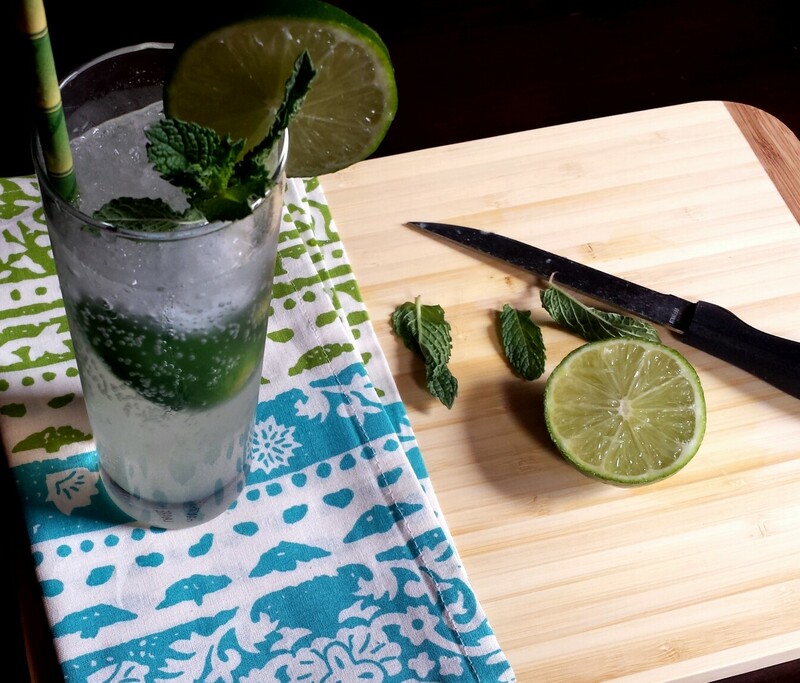 Fill serving glasses with ice, dropping a lime slice and a few mint leaves into each one. Pour the agua fresca over the top and serve. I can’t wait until it’s warm enough to enjoy these refreshing cocktails on the roof after work. Happy sipping!